Later on TV a reporter asks Batman if he has any clues as to who committed the robbery. 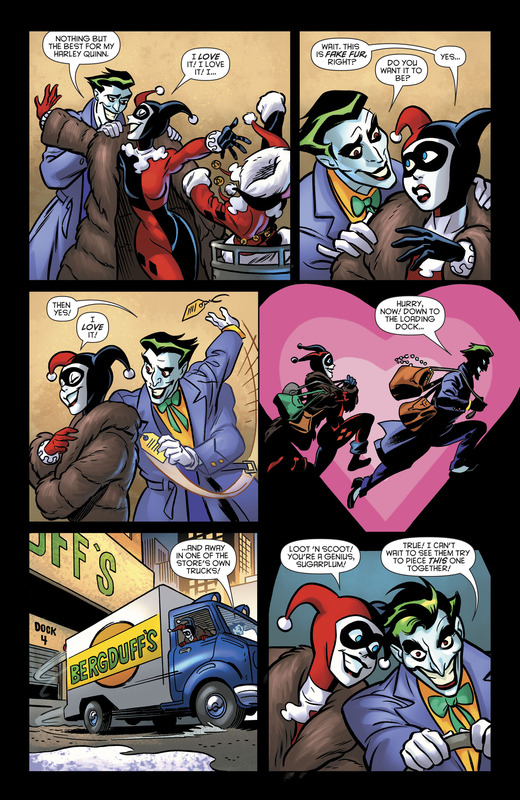 Batman says just one; Harley's old jacket. Anyway, I really like the art in this. I'm thinking Joker only wants to draw Batman's attention when he's prepared for it. Clearly in this case he wasn't. Now I really want to see him quote Sideshow Bob one of these days. 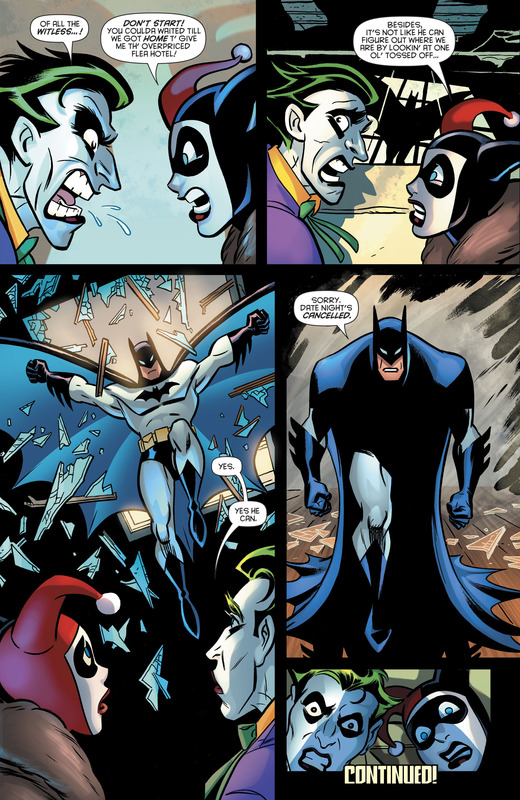 "I have a life outside you, Bats." ...Damn. Now I really wanna see that too! Hm, this seems very... Animated. And I've little doubt that's on purpose. But it also leads me to ask if there's something more to that?